Does Your CEO Know You’re Rejecting Tens of Thousands Who Like Your Firm? Any firm in the Fortune 200 is likely rejecting half a million applicants each and every year. But unbeknownst to most recruiting leaders, their awkward and mostly unmanaged process for notifying applicants that they have been rejected is likely causing millions of dollars in damage to your firm’s product brand. This rejection process (at any Fortune 500 sized firm) is probably disappointing and frustrating hundreds of thousands of applicants each year who have taken the time to apply and to show an interest in your firm. And the CEO or the corporate branding office would be furious when they realized that one business function was unscientifically rejecting this amazing volume of individuals who at one time “liked your firm.” And if they further knew that as many as two-thirds of these rejected applicants would likely become “detractors” of your firm, heads would roll. And to make matters worse, this rejected applicant process is also a missed marketing opportunity. Because this database of hundreds of thousands of names (with current full contact information) is unexplainably never used for product marketing purposes. So what else do you need to know? This under-designed and in my experience literally the worst managed element of the entire recruiting process is unnecessarily disappointing hundreds of thousands of applicants, many of whom are also current customers. At the same time, it is not being used to market to them proactively. Obviously, a dramatic shift is needed. Breathtaking volumes — One Fortune 250 company rejected nearly 475,000 applicants or 97.2 percent last year, while Alphabet with its 2/10 of 1 percent acceptance rate disappointed up to 3 million applicants. Most recruiting leaders simply haven’t taken the time to calculate the damage resulting from a weak process for rejecting applicants. But Virgin Media did. And it found that nearly 2/3 of rejected applicants became “detractors” (they spoke negatively about the firm). Up to 15 percent of applicants who were also simultaneously customers quickly stopped being customers. And thanks to the groundbreaking work of Graeme Johnson, we know the total cost of the damage at Virgin Media was over $5 million, and it was over $14 million at British Telecom. And those dollars of damage don’t include the recruiting loss of hundreds of thousands of applicants who may be so discouraged after their initial rejection that they would never reapply for a job at your firm, even though they initially liked it. And of course, don’t forget to add the “missed opportunity costs” that result from failing to use this huge database for positive marketing purposes. No other business function rejects more individuals who “liked your firm” in a non-data-driven and more callous way than recruiting. The process is not data-driven — the applicant rejections process was not designed or updated using data. Like any other customer service process, it can’t be improved without data. The consequences are not quantified in dollars — like any other customer-service process, both the negative and positive actions taken by rejects need to be converted into their dollars of impact on corporate revenue. The content of the rejection notice is haphazard — the typical rejection is not written using any proven design principles. So the timing, the content, and the wording of the message seldom meet customer service standards. The database is not used for marketing — I have only found one single firm (a Midwestern Bank) that purposely uses the applicant rejection database as a marketing tool for gaining new customers. In order to protect your options, be sure and include a clause in the job application process that gives your firm the right to also use applicant data for marketing purposes. There is no process for discouraging no-chance applicants — no matter how well a rejection process is designed, rejecting hundreds of thousands of individuals can never be a good thing for a firm’s image. Unfortunately, most firms (including recruiting powerhouse Google) have no data-driven process for actively discouraging individual potential applicants who realistically have no chance of getting hired. It makes no sense to waste corporate time and resources on these “no-chance” applicants who simply flood the system. And rejecting these individuals, unfortunately, increases the opportunities for more lawsuits and negative social media messages. Even though recruiting leaders claim to care about “the candidate experience,” most don’t seem to include the rejection process as part of that experience. Even though the rejection element may be the most damaging component of the whole experience, it may not be much of an understatement to say that recruiting leaders care little about rejected applicants. Little effort and fewer resources have been put into the design of this notification process. And also it’s a topic that never even appears at recruiting conference agendas, even though the possible damage, as well as the value of the marketing opportunity, is in the millions. If you want to fix this process, simply benchmark with your customer-service function to learn how professionals discourage and reject those who have applied. Develop a process to discourage “no-chance applicants” from ever applying. Work with the CFO’s office to measure the dollar impacts of a weak rejection. Learn and use established “rejection principles” to change the rejection message and the process. Work with marketing to make sure that the reject database is fully used. Continually measure process results and improve. Corporations have recently begun to spend millions on making the job application process faster and less cumbersome so that they get more total applicants. 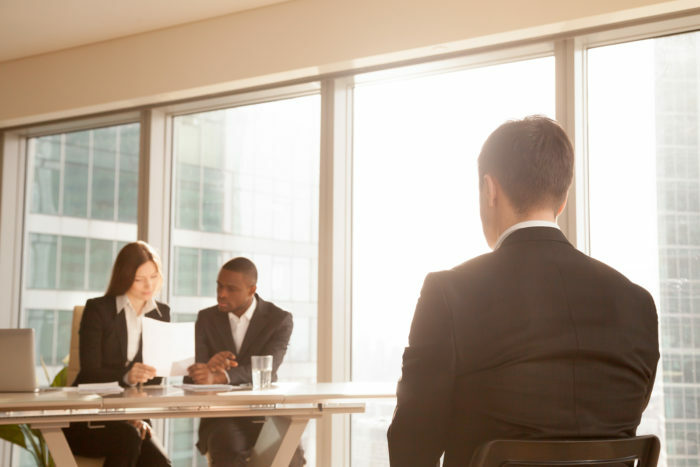 They have also focused on building the candidate experience so that fewer discouraged candidates drop out during the hiring and interview process. But almost no one has applied data to learn how ineffectual and possibly damaging the process is that notifies applicants that they have been rejected. Look to other internal business functions that routinely reject customers (e.g., credit applications, bid rejections, and requests for refunds, returns, or discounts). Learn from them the “standard rejection principles” and the dos and don’ts that are already successfully applied elsewhere. At the very least, find out what percentage of rejected applicants under their current process ends up becoming reenergized supporters or active detractors of your firm. Treat this process as a business process, with many possible positive marketing and even more negative image damaging possibilities.